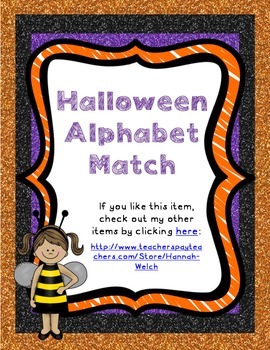 These adorable kids in costumes (and a few others) help students match the uppercase letter to the lowercase letter. The pictures are the same on the letters for a self-correcting center. 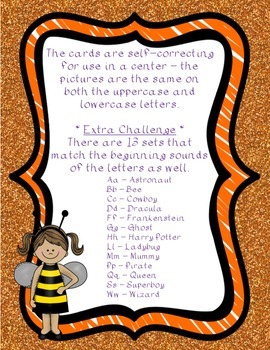 As an added challenge, there are 13 of the pictures that also start with the letter as well - example: Aa - astronaut, Bb - Bee, and Cc - Cowboy.